It is reported that this chief hasn’t passed beyond standard three in school. He is now Minister in charge of education in addition to being Chief. It is also stated that he was seen those days selling wade at the station. Have you seen the video going round showing the Chief Minister of Uva, Chamara Sampath Dassanayake, getting bail over the police charge of his having ordered a principal of a school in his area to kneel before him? This ugly episode had been an occurrence during the era of the Rajapaksas where those in power had an easy ride with knavery. Remember how Dr Mervyn tied a poor government official onto a tree during those days that many want to bring back? The Uva Chief is about to get his desserts after three years of Yahapalanaya. We have good reason to doubt his escaping justice from our liberated judiciary. Let us wait in hope! In the meantime, let us study the video and try to discern the manifest and latent expressions and implications in that. The first thing that hits my eyes, is the presence of a large crowd to “felicitate” the occasion. Does anyone anywhere in the world celebrate being released on bail? Or does this ignorant chappie think that bailing out is the equivalent to being discharged upon not being found guilty? I am sure the crowd is too intimidating to the poor principal who was the subject of the Uva Chief’s puerile exercise of power. The principal must be quite nervous and would have given anything to avoid the embarrassment and the potential threat to him in a broadcast of the video. Can you imagine how a large crowd like this could be mobilised to back the Chief? Rural villagers consider schools as sacred institutions and teachers as even more sacred than the institution. Are these old and outdated values today? It is a serious social problem in that case. Can an ignorant, corrupt and abusive political chief override that culture? In Sri Lanka, yes. In India, the politician would have been assaulted. That is the difference in the Thrice Blessed Country! The quality of this politician is there for all to see. He represents the standard Parliamentary material Sri Lanka has today. Empty-headed thugs unexposed to basic education. Did the crowds gather at the scene because they shared the negation of values by the Uva Boss? I doubt. Although reluctant to agitate, the ordinary villager will frown at these incidents and hold their hands against their cheeks in shock or despair. Those who are coaxed to gather like these are the corrupt in the villagers and the town. This is the lumpenproletariat that Marxists speak of.In the original German, the term stands for “rabble proletariat.” According to Karl Marx in The Communist Manifesto, these form the lowest stratum of the industrial working class, including also such undesirables as tramps and criminals. These elements are also in towns and villages. By nature, these fellows like to take risks. The problem in our villages is that well- meaning populations don’t want to come out in protest. Herein also lies the fertile ground for the success of rogue politicians. Some kind of awakening and mobilisation of villages must happen if our country is to keep the political crooks out of their game. It is all different here, in Australia, where it is easy to gather hundreds of people if something like an old and imposing tree is to be felled by authorities. The other day on Australia Day, thousands of Whites joined in the protest asking for a change in ‘Australia Day,’ as the present -day represents the day that the white settlers got hold of the land at New South Wales. Aborigines call this Invasion Day and a preponderant number of white young men and women joined in support of them. That is the beauty of social awareness! However, the most outrageous element in this video are the Monks chanting Pirith and tying a Pirith Noola around the hand of the Uva Chief! Don’t these yellow-robed men realise they are sinning against Buddhism? Why aren’t there anyone to rush and throw them out with their Pirith Tool? Sometime ago, I found some local Diaspora Sinhala Buddhist Right wingers organising a protest petition against a Chinese restaurant naming a soup as Buddha Soup! How much more should these hypocrites go out and campaign against such behaviour of the Sanga over there in Sri Lanka? At least the soup was a delicious one, said to give a Nirvanic feeling! These kinds of monks are part and parcel of the lumpen proletariat referred to above. There are numerous other monks of this class who are ever ready to act for corrupt politicians. They protest over things they wouldn’t know like SAITM and the Constitution. On the other hand, I did not see any Sanga protest when the war-winning General Sarath Fonseka was dragged and put into jail on false charges trumped up by the former President and his powerful Gota; when his hard-won medals for bravery and rank were grabbed away, again by the powerful duo; when throughout three years the General had to put on prison jumpers and eat out of a tin plate. This is life in ‘Loken Uthum Rata’ and Dhamma Deepa! Whom to tell to? Buddha does not refer to our Samma Sambuddha. There are lot of Buddhas in In India. It is something like Muni./ Guru/Monk , Baba ETC. Shyamon, the sad truth is that there is none to decry what is wrong, none to express a contrary opinion, none to set an example among the ruling elite anymore. Had President Sirisena immediately sidelined this man until the court hearing was over, had Ranil immediately sidelined Mahendran until the bond investigations were over; had Ranil immediately asked Ravi K to step down as Dy. Leader of the UNP until his name was cleared, a clear message would have been conveyed to all that the leadership viewskills such matters rather dimly. I reiterate over and over again, if this country is ever going to turn around, the examples for right conduct, right thinking and right execution must come from the TOP. We have wasted time enough and there is no more time to waste. I think that the condemnation of the Uva Chief Minister’s action is more than justified, but we may be a bit short on facts. I’m not able to devote the necessary time to do the checking that I must. Shall do so in about five days’ time. Chamara Sampath Dassanayake is now 41 years old. He had studied in the smallish “Naulla National School”, Demodera, up to about Grade 10, but had not sat the O. Level examination. His leaving school early was connected to his assaulting one of his teachers. Subsequently also, after leaving school, he had assaulted some other teacher. He is married, his wife has never worked, a confirmed house-wife. He has three children. The eldest was said to be studying at Kithal-Ella M.V. This information I got from a usually reliable source, a few days ago. What I heard may have got confused even within my own mind, and that eldest child’s school may even be Makul-Ella Vidyalaya, but that is unlikely, since Makul-Ella is very remote – one of those schools affected by the Uma Oya tunnelling. 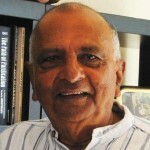 Chamara Sampath D. may well have moved his family now to Makul-Ella, whic is on the hill above the old Ella Rest house on the road to Bandarawela through Heel Oya. This puts it within the main tourist area of the Badulla District. The youngest son is said to be in Uva College, Badulla, now a very average school in Badulla, but once the main Anglican School in the town. The late Dr Rajasingham Narendran, one of our favourite commenters up to his demise, had started schooling there, with the still living Gerald de Alwis as Principal. The Badulla District there are many more Sinhalese National schools than any other; that was the doing of W.J.M. LokuBandara when he was the Minister of Education. They were meant to be large, better funded schools, with superior facilities, and administered directly from the Line Ministry in Isurupaya. The Provincial Schools are smaller (some much smaller), and many in remote villages have closed owing to a lack of students. Sinhalese students tend to gravitate towards town schools. In practice, however, these regulations conferring special status on National Schools have proved a hindrance. The commonest problems are when a teacher has to be transferred between schools of the two categories. There is one Hindu (referred to as a Tamil School) National School in Uva: at Passara. None in the Moneragala District. The only Muslim National School is in Gurutalawa. The Tamil schools have lots of students who don’t go in to the towns. In some large schools there are 90 in a class, and it may be that there is one teacher less than the number of classes. So, for instance, Galapitakanda T.M.V. Balleketuwa, could have a thousand pupils, in Eleven Grades, but only nine teachers, at certain times. More common would be a hundred and fifty students, Grades One to Five, two teachers. that would be the permanent situation: the teacher has to do “multi-grade teaching”. This is an improvement on what I found in Kandegedera M.V. in 1971. A tamil section was appended to the Sinhalese section and those classes met for the afternoon session. Big boys and girls sitting at Kindrtgarten furniture. They were not allowed to participate in Sports meets since they were said to be not Sri Lankan citizens. I met the Provincial Director and asked if that was the way things had to be. No. He said that they were entitled to participate. I asked for it in writing to show the Principal, to get this implemented. No, said Mr J.A.K. Jayawardene, the father of thirteen children. I had not brought him an official letter, so he could not issue me a letter. Brilliant article SJ. Keep writing to educate illiterates like rabok and the stupid servile idiots who celebrate bail being given. Just goes to show to what low and sad depths of illiteracy politicians in SL belong. At least RW has class and is not crass like the baluwansas, horapilla and rajfukshas. Uneducated thugs have been brought into politics by the leaders of main political parties to look after their back. they have been kept in the background to be used to leash terror against the opponents. If a stupid idiot give them power they cannot handle and appoint them as Chief Ministers its time to examine their heads. What a stupid jackass will appoint a WAdE seller with no basic education as the CM and in charge of education. Great article. Its unbelievable how people without any basic education get such high leadership position. That was a great article by a man living far away. I agree absolutely with what he is saying, and with your commendation. I’m sorry that it has taken me so long to add my own humble but lengthy comments, giving you details. Please see about six comments above this some of the FACTS that I have given. See for yourself that even in so-called prestigious schools management is appallingly bad, and that cheating is rife. Last Saturday, the 3rd, I was at a Gala Farewell Dinner to the outgoing Headmaster of S. Thomas’ Gurutalawa, which used to be one of the best schools in the country. Lots of Sri Lankan billionaires who are even now giving lavishly to THAT school, but not to the Bandarawela school. When you have a good deal of money it is easy to give, but to run schools is difficult. They were talking of now collecting money for a bus. I told the Senior-Vice President of the OBA (the ex-officio President is the Priest-Headmaster who is NOT an Old Boy) that a bus is hardly a priority. He agreed. It wouldn’t be used more than once a month, but the outgoing Headmaster had suggested it. Why did I attend? Because I respect that outgoing Headmaster. He’s been honest and decent. My neighbour and I revived that school when they wanted to sell it to Lalith Kotelawela, with numbers down to just 152. 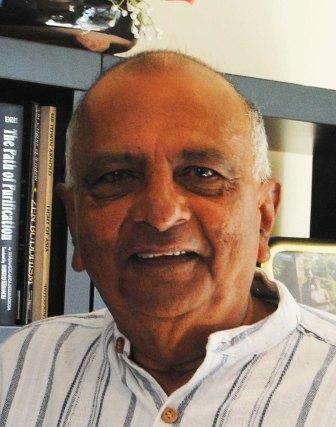 Few Old Boys wanted to be associated with such a school, but none want to acknowledge that the trouble starts above that – with the now dictatorial Chairman of the fifteen member Board of Governors. Chairman is the current Bishop of Colombo. He will retire two years from now.